LITTLE ROCK, Ark. - Frater Mike Huckabee of Beta-Psi Chapter (Arkansas State University), a presidential candidate in the 2008 election, has launched a web site that is TKE specific. In addition, he has a special message for all fraters. According to the web site, Frater Mike is out to show people the American dream is still alive. The former Arkansas governor recently formed a 2008 presidential exploratory committee because he feels the country needs a reawakening and a leadership to address an array of issues, including how to improve the nation's infrastructure, education system, environmental policy and failing health care system. In the past year, Frater Mike visited nearly 30 states to campaign for Republican candidates and conservative causes - and to share his message of vertical politics that he says reflects American values and priorities. From 1996-2007, Frater Mike served as the 44th Governor of Arkansas. When he left office on January 9, 2007, he set out on a nationwide tour to promote his fifth book, "From Hope to Higher Ground: 12 STOPS to Restoring America's Greatness." The book reveals his optimistic vision for what America can become with the right kind of leadership and a clear direction. Frater Mike is recognized as a national leader, having been honored by several renowned publications and organizations for his numerous accomplishments. Governing Magazine named him as one of its 'Public Officials of the Year' for 2005, Time Magazine honored him as one of the five best governors in America, and later in the same year, Frater Mike received the American Association of Retired Person's Impact Award. In 2007, he was presented with the Music for Life Award by the National Association of Music Merchants (NAMM) for his commitment to music education. Frater Mike is past chairman of the National Governors' Association (NGA) and chairman of the Education Commission of the States. During his tenure as governor, he served in other leadership positions including president of the Council of State Governments, state co-chairman of the Delta Regional Authority, and chairman of the Southern Governors Association, the Southern Regional Education Board, the Southern Growth Policies Board, the Southern Technology Council, the Southern International Trade Council and the Interstate Oil and Gas Compact Commission. As former chairman of the Interstate Oil & Gas Compact Commission, Frater Mike worked with the 37-state coalition to develop energy policy and lobby Congress on energy matters, such as the regulation of oil and gas production. He also is known nationally for his focus on technology in state government. He created an automobile license renewal system that's become a model for states across the country. Huckabee directed the creation of other advancements that have made Arkansas a technology leader among the states. Frater Mike became governor in July 1996 when his predecessor resigned. He was one of the youngest governors in the country at the time. 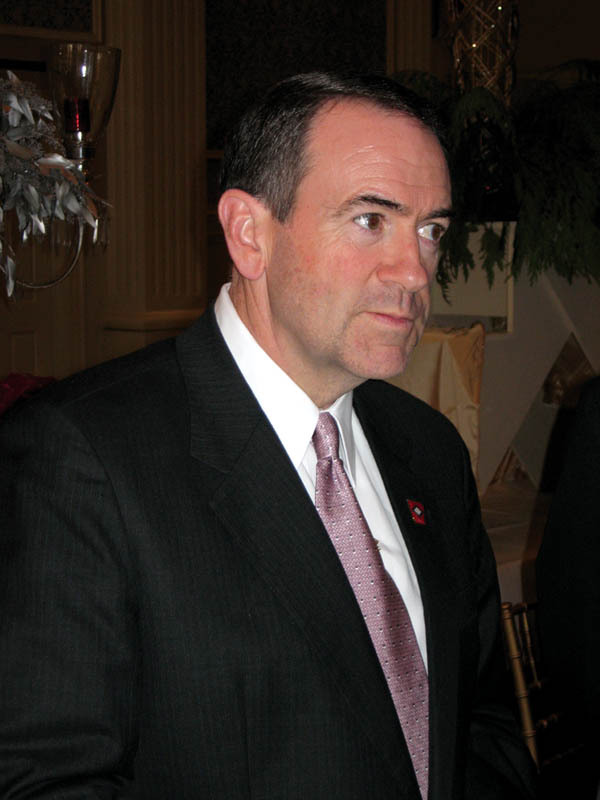 Huckabee was elected to a full four-year term as governor in 1998, attracting the largest percentage of the vote ever received by a Republican gubernatorial nominee in Arkansas, and was re-elected to another four-year term in November 2002. Frater Mike first was elected lieutenant governor in a 1993 special election and was elected to a full four-year term in 1994. He was only the fourth Republican to be elected to statewide office since Reconstruction. A significant part of his adult life was spent as a pastor and denominational leader. He became the youngest president ever of the Arkansas Baptist State Convention, the largest denomination in Arkansas. Frater Mike led rapidly growing congregations in Pine Bluff and Texarkana. He said those experiences gave him a deep sense of the problems faced by individuals and families. Under Frater Mike's direction, Arkansas has been recognized as having created one of the nation's best school accountability programs. Huckabee pushed through reforms in Arkansas that have significantly increased the number of charter schools and established new approaches to workforce education. One of his proudest achievements as governor was signing legislation creating ARKids First. The program provides health insurance coverage for more than 70,000 Arkansas children who otherwise might have gone without. Before leaving office, Frater Mike supported the ARHealthNet program which gives small business owners and their employees better access to health care coverage. Frater Mike, a fiscal conservative, pushed through the Arkansas Legislature the first major, broad-based tax cuts in state history - a $90 million tax relief package for Arkansas families. He led efforts to establish a Property Taxpayers' Bill of Rights and created a welfare reform program that reduced the welfare rolls in the state by almost 50 percent. He also doubled the standard deduction to $2,000 for single taxpayers and $4,000 for those who are married. He proposed The Property Taxpayers' Bill of Rights which established a uniform notice and due process procedure to guarantee that all Arkansans will be treated fairly in property tax assessment. In total, Frater Mike cut taxes and fees over 90 times during his ten and a half years as governor, saving the people of Arkansas almost $380 million. When he left office, Arkansas had over $800 million in state surplus, which he believes should go back to the people in the form of either a tax rebate or tax cut. As NGA chairman, Frater Mike promoted his Healthy America Initiative, based on his successful Healthy Arkansas model. In 2004, Frater Mike created the Healthy Arkansas initiative, an effort to encourage Arkansans to stop smoking, exercise more and eat healthier. As a direct result of his efforts, for the first time, Arkansas state employees are taking health risk assessments, are receiving individualized health information and are receiving discounts on health insurance premiums in exchange for healthy behavior. He encouraged private sector businesses by providing them with tool kits to create workplace wellness programs. The Arkansas Healthy Restaurant program was designed to encourage healthy eating options outside the home. Frater Mike supported and signed into law the Clean Indoor Air Act of 2006, which prohibits smoking in most Arkansas workplaces. Frater Mike's efforts to improve his own health have received national attention. Diagnosed with Type II diabetes in 2003, he lost 110 pounds. Barely two years later, he has completed four marathons: The 2005 and 2006 Little Rock Marathons, the Marine Corps Marathon and the ING New York City Marathon. As a result of his accomplishments, The Road Runners Club of America named him its 'Southern Region Runner of the Year' and USA Track & Field has named him their 'Athlete of the Week' for the country. Continuing to call for a national emphasis on living a healthy lifestyle, Frater Mike completed his fourth book, "Quit Digging Your Grave With A Knife and Fork." This 12-stop program is a no-nonsense approach to managing one's health through lifestyle change rather than a simple diet and exercise plan. Frater Mike, 51, enjoys playing bass guitar in his rock-n-roll band, Capitol Offense, which has opened for artists such as Willie Nelson and the Charlie Daniels Band, and has played the House of Blues in New Orleans, the Red Rocks Amphitheater in Denver, CO and for two presidential inauguration balls. The former governor and his wife, Janet, live in North Little Rock. They have three grown children: John Mark, David and Sarah. Tau Kappa Epsilon does not officially endorse any candidates running for offices, but does recognize their efforts in the pursuit of success and living the ideals of the fraternity. Adapted from Team Huckabee web site. If you would like to see your chapter news here, contact Communications Coordinator Tom McAninch.